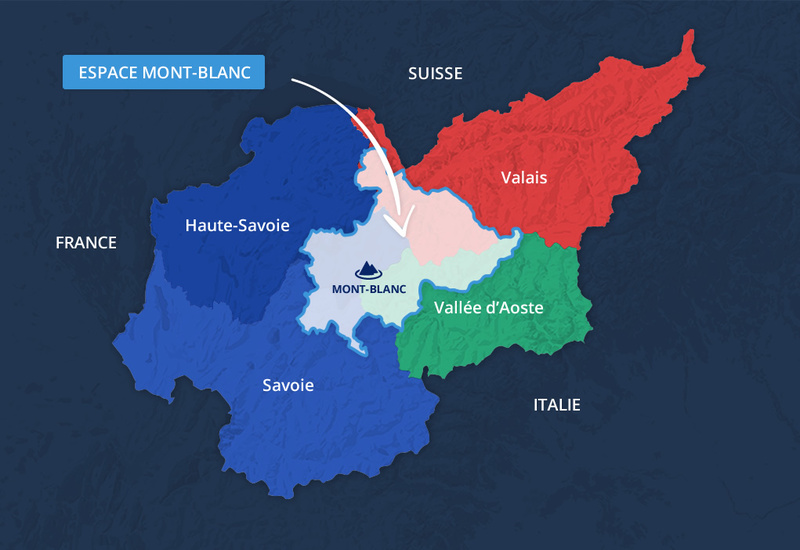 The Espace Mont-Blanc is an initiative of transboundary cooperation bringing together Savoie, Haute-Savoie, the Aosta Valley, and Valais. They commit themselves to the protection and enhancement of an emblematic territory, where the exceptional natural and environmental heritage lives alongside economic and tourist activities international in scope. The Espace Mont-Blanc concerns itself with some overriding themes. A tool for getting to know the territory that allows you to read and understand the links between environment, economy, and society. All the useful information for hiking in the region and planning your itineraries. 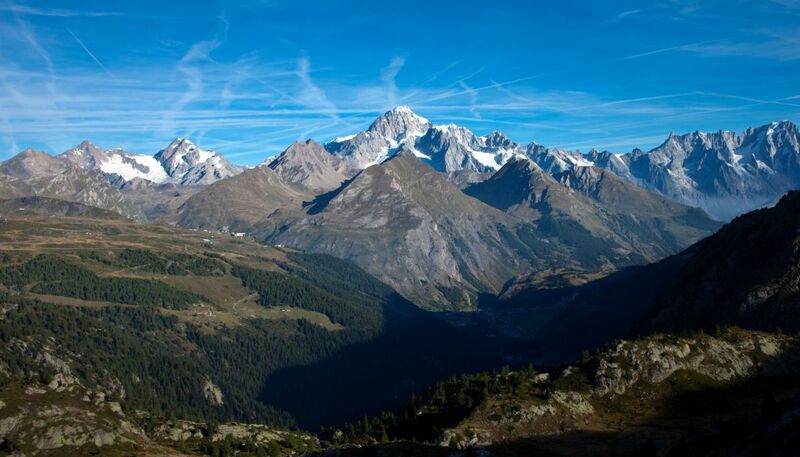 The institutional and promotional web portal for the Tour du Mont Blanc, a long hiking trail that encircles the Roof of Europe. The website that allows you to compose your own personalised Tour du Mont Blanc and reserve online. An interdisciplinary site identifying the wealth of scientific studies in glaciology, climatology, and ecology on Mont Blanc. A search engine integrating the information produced by the scientific and technical activities of the Espace Mont-Blanc. A monitoring website that announces all the data on air quality in the Espace Mont-Blanc. A unique tool for the structuration of energy data, serving public authorities and residents. A tool about the natural processes in the alpine territories and the risks associated with the interaction with human activities. All the recommendations for a sustainable management of high, isolated mountain sites. AdaPT Mont-Blanc project video presentation - Climate change adaptation by spatial planning in the Espace Mont-Blanc region. 5 days of trekking and discovery around Mont-Blanc accompanied by mountain professionals: a unique human adventure that unites young people of the three countries! 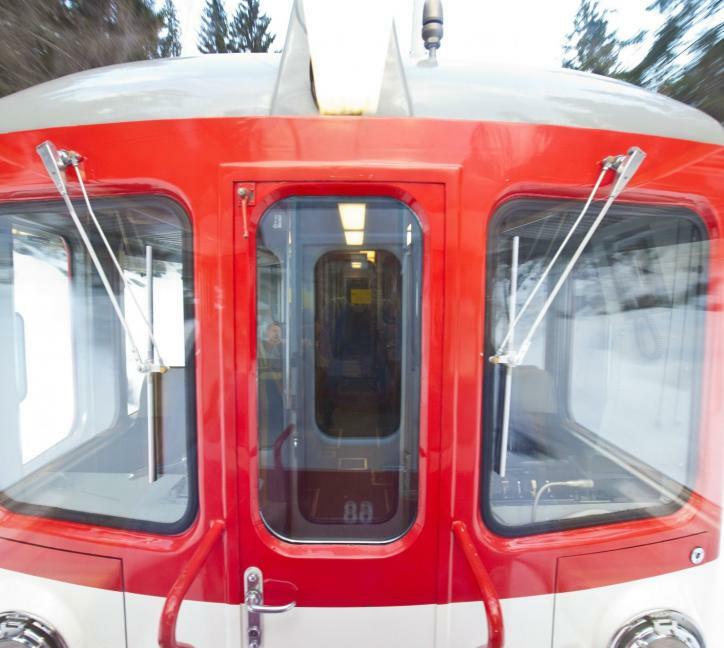 A project of numerous experimental activities, a fruitful collaboration between the professionals and the mountain with the major goal of finding lasting solutions for the management of structures at high altitude. The six concrete and ambitious projects that, under the banner of “PIT Espace Mont-Blanc,” have implemented the best practices of sustainable development, integrating different strategic themes and a vast and diversified transboundary partnership.